HuffPost may feature a Kim Kardashian cleavage article (with photos! and poll! ), but right here in the Twin Cities, we’ve got plenty of our own headline click bait. There’s the 17-year-old arrested after taking a naked stroll in Minnetonka, a large snapping turtle on a suburban road, a car vandalized with a cucumber, and, getting down and dirty, cops reportedly found “crack in a Richfield man’s ‘crack. '” All local headlines — and great click bait — right here in the Twin Cities metro area. As one journalist tweeted shortly after that February story, “naked” in the headline is a sure way to get readers to click on the story. Stories about dogs, cats and other animals usually generate lots of reader clicks, too. Sadly, the Daily Planet lags far behind in the naked sweepstakes. A Google search today showed only one TCDP listing for “naked” in the past month, and that wasn’t even in a headline. In contrast, the Star Tribune had at least half a dozen headlines including the word, and more than 50 Google listings for the past month. Local Patch sites do a great job on headlines (including the crack and cucumber stories), though the stories often have no more substance than the Strib’s turtle report. Our reader numbers keep growing every month, but I’d like to see them grow even faster. Maybe I should work harder at headline writing. 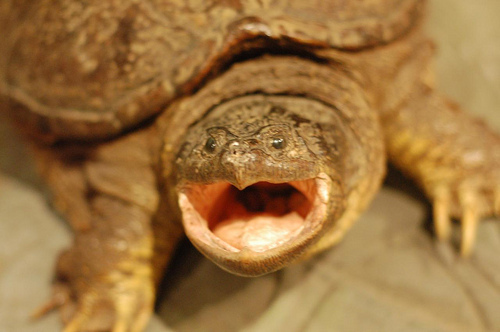 Or maybe we should run more police blotter stories about naked men and snapping turtles — or Kim Kardashian’s cleavage.